On Sunday, Pastor Gabe begins a new sermon series through the book of 1 Corinthians. The first century Corinthian church was a mess. Yet the Apostle Paul didn't call that church a false church and tell them to shut their doors. He loved them and called them to repentance. What can we learn from the Corinthians that applies to the church today? Pastor Gabe will give the backstory and be reading from 1 Corinthians 1:1-9. Sunday school is at 9:30 and church at 10:30. Praise the Lord that we now have a new roof! Eleven months after deciding it was a project we needed to invest in, we raised the money and set out to find a team who could help us on the budget that we had. 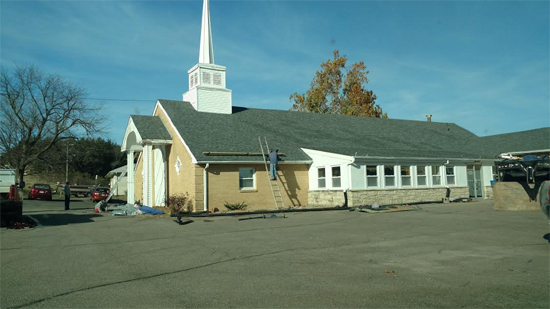 We are so grateful to the guys at Mares Roofing and Restoration for the work they did, going above and beyond to work even Thanksgiving Day until it was done. Their number is (785) 614-9143. Our new roof should be completed sometime Saturday afternoon! Praise the Lord! Thanks to everyone who helped us raise the money for the needed repairs. In the meantime, we've got some other projects that need work, including some painting, maintenance, and handyman chores. If you're able to help, we'll be at the church Saturday from 9am to 1pm. Child care will be provided for those who have little ones. If you're able to hold a paintbrush or steady a ladder, we need your help! We conclude our series through Essential Doctrines on Sunday with a message from Ephesians 2:1-10, talking about salvation by grace alone through faith alone in Christ alone. Sunday school is at 9:30, worship service is at 10:30. A reminder that after church, we will have our members meeting in the Fellowship Hall downstairs. Among the things we have to talk about includes the renovations that we've been doing and our general upkeep and maintenance on the building. For those attending, we'll be serving pizza for lunch. 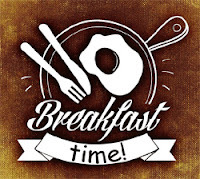 A reminder that our family breakfast is Saturday morning at 9:00! Since the fellowship hall floor is still under construction, we will be meeting in the garage classroom. Park around back. Expect some good breakfast food and a time of fellowship. Bring the whole family! The breakfast is free. If you're able, plan on sticking around afterward as we continue to work on the renovations of our building. We'll provide lunch for our workers.